President Roger H. Sublett, Ph.D.
Union was founded in 1964 as the Union for Experimentation and Research in Higher Education. Its purpose was to provide enhanced opportunities for adults pursuing higher education utilizing alternative approaches to traditional classrooms. Higher education has evolved since 1964, and something that seemed revolutionary in the 1960s is now commonplace in today’s era of technology and rapid change. Union created a path for new approaches and many followed our lead. Union has changed over the years in developing new academic programs to serve our students, adopting new technologies to remain in the forefront of online learning, and also experimenting with hybrid approaches including cohort groups, face-to-face meetings, and online instruction. In the last few years, Union developed the Maternal Child Health/Lactation program which is one of the few of its kind in the United States. We created the Clinical Mental Health Counseling program and obtained professional accreditation assuring that our CMCH graduates could sit for licensure across the country. We are experimenting with the Child and Adolescent Program (CHAD) in Los Angeles and may even begin a Spanish-speaking cohort for this creative and empowering program. We are working to develop a Professional Studies & Continuing Education Department that will touch multiple sectors of society with unique offerings, particularly impacting our commitment to social justice. We continue to support the YWCA’s Breakfast for Racial Justice in Cincinnati, which we have sponsored over the last eight years, and we are currently seeking ways to broaden that support across the nation in support of the “underserved” members of our society. Our Florida Academic Center has moved to a new location in Hollywood, Florida, which will result in Union’s reaching out to a broader geographical area in South Florida, and we are redesigning our academic center in Los Angeles to a space more appropriate to our needs in the LA market. We recently received a $1.8 million dollar bequest from the estate of Union Ph.D. graduate Dr. Madeline Ehrman, the largest gift to Union during my tenure as president. We are very thankful for her generous support and regard for Union. And, we are preparing to welcome the sixth president of Union Institute & University, Dr. Karen Schuster-Webb, on July 1, 201. Her presidency promises a new era of creative leadership in support of Union’s vision and commitment to engage, enlighten, and empower a new generation of adult learners. While it is important to take time to reflect on the founding of Union, it is even more important to commit to the future growth of the institution and our students. Union has never been an organization that stood still or took for granted our place in higher education. We have always embraced research, experimentation, and action in our desire to make a difference in the lives of people. This is the most important lesson we take from the vision of our founders. They were futurists who believed in the creative genius of the human mind, body, and spirit and they developed the pathway to make the future possible. Having the privilege to serve as Union’s fifth president, I recognize that I have stood on the shoulders of the four presidents who preceded me. I have been most fortunate to have the support of a very creative staff and faculty as well as a supportive Board of Trustees. While we have not accomplished all that we might have over the last 15 years, we have accomplished a great deal. In 2018, our greatest challenge is the recruitment, enrollment, and retention of the next generation of Union students. Like the original founders, we have had our challenges—both internal and external—but the creative genius that gave birth to this unique university remains alive and well today. It is that creative genius and the fearless embrace of the future that will propel Union to even greater heights in the coming years. Union will only be restrained by the limits of human imagination, and that is a GREAT place to be in 2018. It transmits itself to others…. It cannot go forward by hesitation. Responsibility for decisions based on them. Than in making a wrong decision. Research, experimentation, and action were ALL critical components of Union’s founding in 1964, and they still provide the guiding light for Union in 2018. It has been a remarkable honor to serve as your fifth President since 2003. This university and its people will always be in my heart and my mind. Thank you for allowing me the privilege to serve.  Learn more about the mission and values of Union Institute & University.